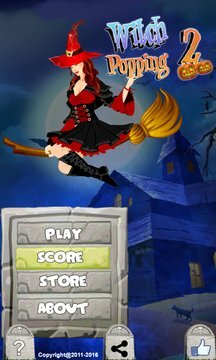 Witch Bubble 2 is a game for everyone that will keep you engaged for hours. A bubble shooting game but with a difference! Kill Witch servant in bubbles and see them flying. This game will keep you engaged for hours. - Tap on screen to release the witch bubbles in the direction set by you. - Make formations of 3 or more bubbles to blast them. 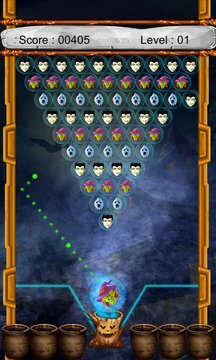 - Pop all the bubbles within given target score or time in order to clear the level. - Beautiful colorful graphics. - Awesome game sounds. - Different witch bubbles to play with. - Global leader boards, fun achievements! Beat your friend's scores! Just pop the bubbles and see beautiful birds flying.